The laugh of Beuys comes out of his Dutch genes. He told me: “The name Boie is a first name in Friesland. A son of Boie adds a ʻs and says: ‘I am Boieʼs’. In the 19th century when Friesland became poor one forefather of Joseph Beuys went from Friesland down to Groesbeek near Nijmegen. From there a train drove every hour to Kleve in Germany. One young ancestor found a girl in Germany.” That way Joseph Beuys became a German with a roaring Frisian laugh. When Beuys picked up the phone he said: “Boieʼs”. He never said Beuys the way we do. He wrote his name Beuijs with an ij to show his Dutch descent. That next century, the 21st century, has started and the words of Beuys are suddenly real important. Between 1968 and 1986, my years with Beuys, I kept collecting what he said. During ʻ100DaysBeuysʼ I will share all words I have documented. 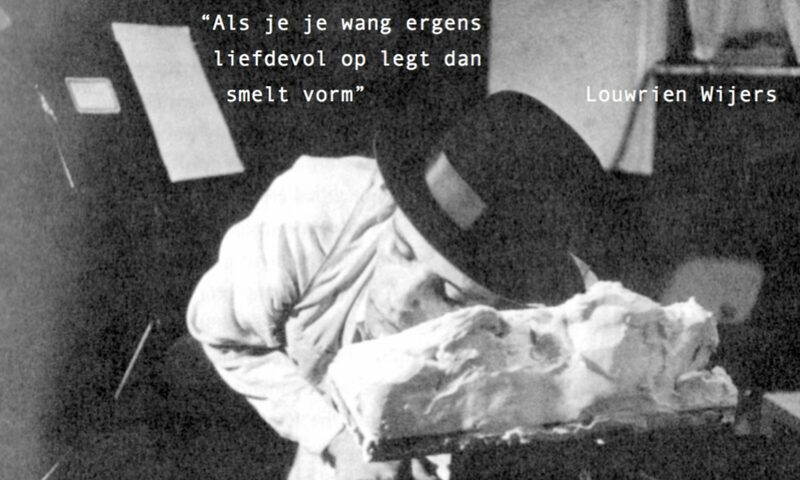 Johannes Stüttgen, Elbrig de Groot, Antje von Graevenitz, Enno Schmidt, Anny de Decker, Ludo de Schutter, Jos Verhulst, Shelley Sacks and Babeth van Loo will come to ‘100DaysBeuys’ in Ferwert and tell us what they heard Beuys say.